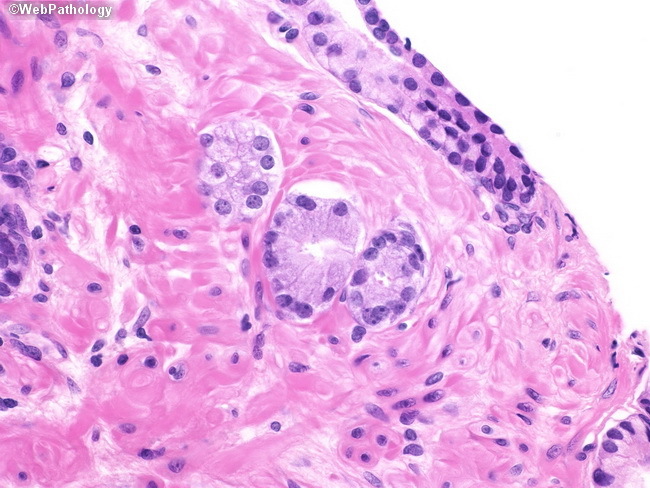 Three small atypical glands with occasional prominent nucleoli. The focus is atypical but clearly insufficient for a definitive diagnosis of adenocarcinoma. A repeat biopsy performed five months later showed a minimal focus of adenocarcinoma (Gleason score 3+3=6) (See next image).